The Petersburg Medical Center would like to thank the Petersburg Community Foundation and Petersburg Medical Center Guild for their generous contributions toward the purchase of 3 walking vests and the necessary attachments to our Hoyer that now help us serve patients even better. 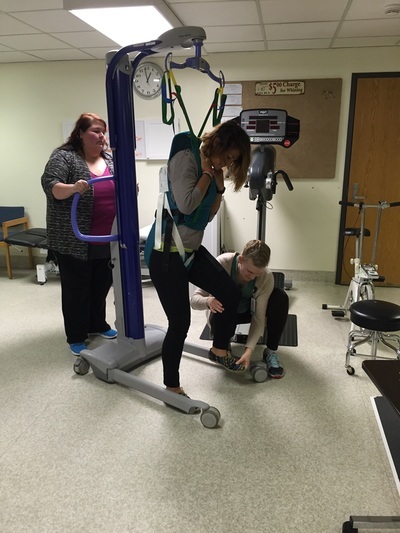 Our physical therapy department can now focus more specifically on patients suffering from neurological aliments that may affect their ability to stand or walk independently. The attachments provide additional stability while the therapist can focus on the physical therapy itself. 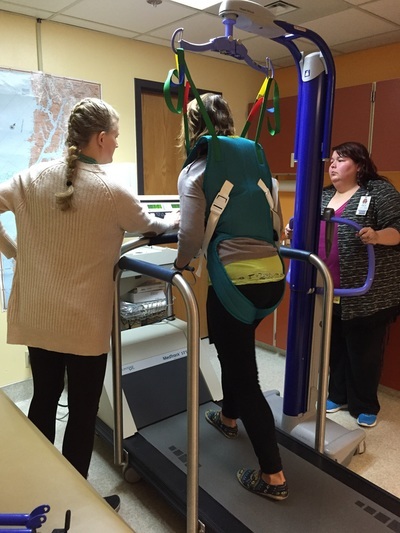 The equipment benefits our young, adolescent, adult, and senior patients.”dit. 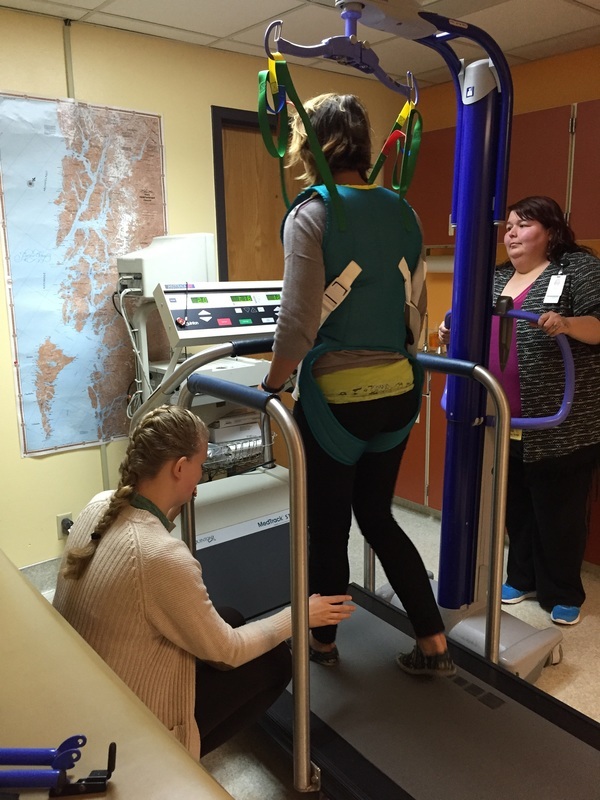 The Petersburg Hospital Guild is a group of volunteers who have a long history of service to Petersburg Medical Center. The Hospital Guild was started by some local ladies who got together to sew curtains for Petersburg's first hospital. Over the years, the Hospital Guild has continued to do sewing and mending for the hospital and the residents of Long Term Care. The Hospital Guild also operates the Charity Box Thrift Shop on First Street across from Petersburg Medical Center. Proceeds from the Charity Box have helped to purchase many items for the enjoyment of the residents of Long Term Care and contribute towards the purchase of equipment for Petersburg Medical Center. The Charity Box is open every Monday from 10 am to 4 pm from Memorial Day until September. The Hospital Guild meets at 1:30 pm in the Dorothy Ingle Conference Room on the second Friday of the month from September to May. New members are always welcome.